Back in February I did a fun series called Quick Tip Friday. It was a great success so I thought that from time to time I would add more tips. Here’s the deal, I know how much we all love a big room makeover, myself included but many times most of us just need to do some little things around the house to complete a project. These little things can make a big difference in our decorating or our ability to complete a project easier than we may have planned. 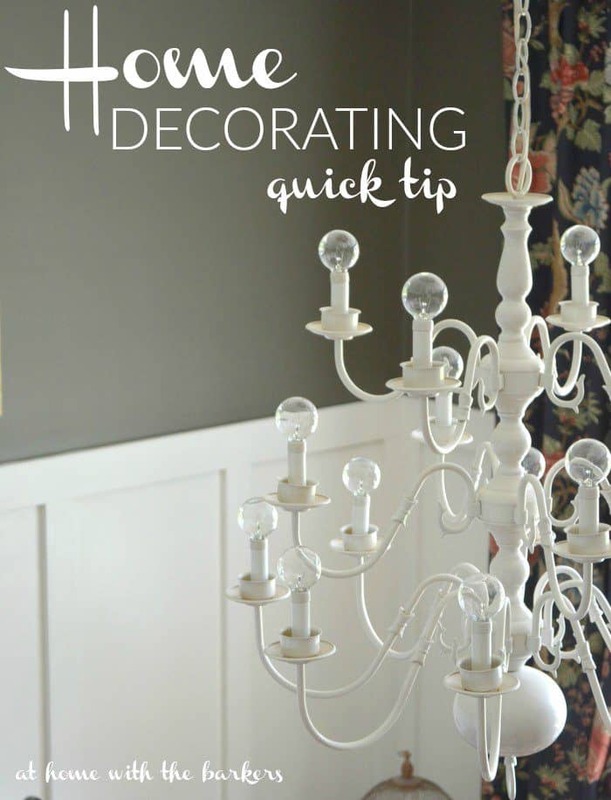 Get ready for Quick Tip Friday Chandelier Ideas! 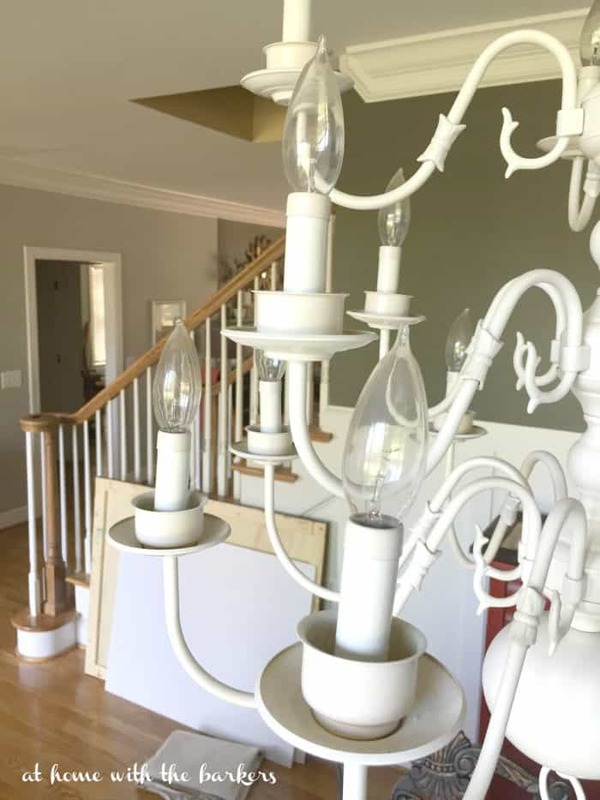 My friend Jennifer from Dimples and Tangles posted a photo on her Instagram of a gorgeous chandelier that had round light bulbs. Then I was flipping through a catalog and saw similar light bulbs in another light fixture. That’s when I had my light bulb moment! I needed to change out the existing pointy light bulbs that had been in my dining room chandelier for years. That layer of dust on those things should have been the first sign that they needed to be changed. LOL! Changed out the pointy bulbs to these round ones and WOW!! Way cheaper than a whole new light fixture. It is a game changer!! 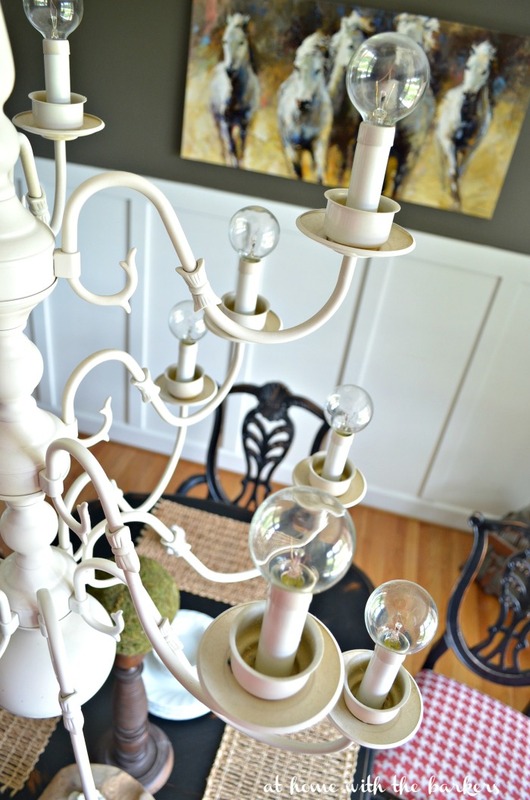 SUPER easy decorating tip that has me thinking outside of the box on many other projects. Let me know if you change your bulbs out! I like to see what others do with my inspiration. Coming up on the blog Monday I will be sharing the complete dining room so be sure to come back by. 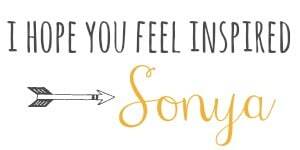 BY the way, I’m over on my friend Julie’s blog Redhead can Decorate today guest posting! If you are visiting today from there, WELCOME, I am thrilled you stopped by! Hmmm Sonya, I’m not sure how I feel about round bulbs in a chandelier. I don’t dislike the look. I have some of those bulbs in my stash and you’ve piqued my curiousity. Like paint chip samples, I’m going to look at it in the different light settings and see how I feel. Thanks for the head turner this morning! Gives a whole new look and i love it. Great idea! Incredible how much a simple change can transform a space. 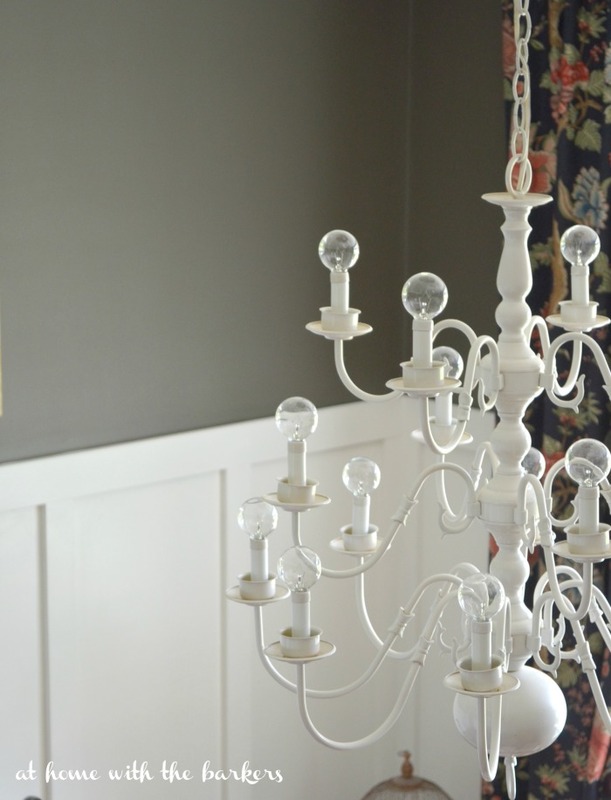 The new lightbulbs are quirky and fun! 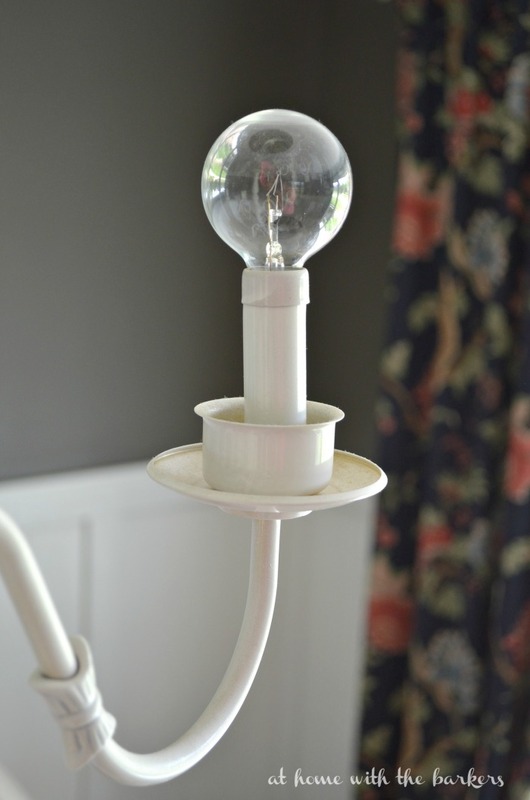 Where did you find your round light bulbs? I purchased those at Home Depot.